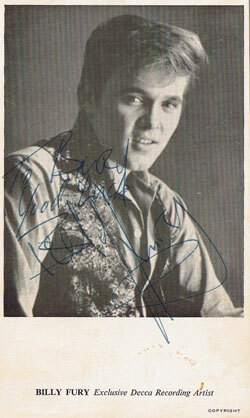 According to our records, Ricky appeared at the California in 1965 and 1966. In 1965 there is some confusion. We have a confirmation that Billy was supported by the Cortinas, Paul Griggs of the Cortinas remembers doing it but for some reason it is advertised as the King Snakes. In 1966 the band is advertised as being the Gamblers.